"Our goal at DPW is to provide our community with the highest quality public service that continually enhances the quality of life for all of our residents. These services will be provided by dedicated, trained, and responsible employees who are committed to excellence". 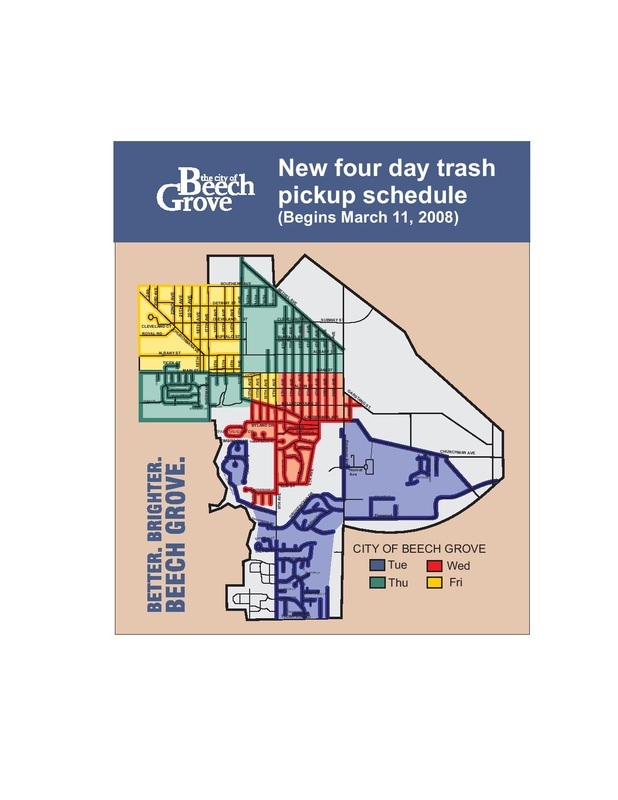 The city has implemented a four-day-a-week trash pickup system (Tuesdays through Fridays) that will allow for important, routine scheduled maintenance on the vehicles. Your trash will continue to be picked up on most holidays, with the exception of Thanksgiving, Christmas and New Year's Day. Visit the Holiday Trash Collection Schedule webpage for details. Indiana law requires all property owners to make an important phone call before doing any digging on their land. Whether you are planting a tree, putting in a new fence or children’s playset, or digging for any other reason, it is critical that you call Indiana 811 at least 48 hours in advance. By calling 811, utility crews can come to your property and mark the locations of underground utility lines at no charge to you. The markings are done with chalk that rain will eventually wash away. Allowing utility crews to mark line locations will help keep you - or a contractor - from accidentally hitting a gas line, water main or other underground line. This will help keep service to you and your neighbors from being disrupted, and help protect you from expensive repair costs and a potential fine. 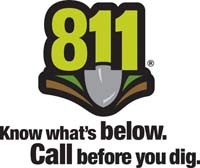 More importantly, calling before you dig can help protect you from a serious or even fatal injury. Making this brief phone call is important no matter how shallow you dig or how simple your project is, since different utility lines are buried at different depths.